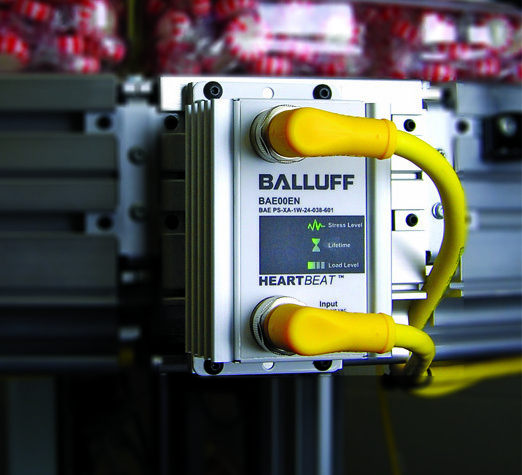 Offering reliable feedback on the real time and long term status of supply, Balluff’s intelligent power supplies with HEARTBEAT technology can help enable prediction of the replacement and maintenance cycle. HEARTBEAT power supplies feature bright optical indicators that provide quick confirmation of the operating status. Three traffic light displays with green, yellow and red LEDs continuously inform the user about the internal operating status. Products can operate under continuously high load conditions (power boost 150% for 4 seconds), meaning that no power reserves are necessary when calculating the required power.